Suzanne Stark is a qualified voice coach and corporate communication expert. 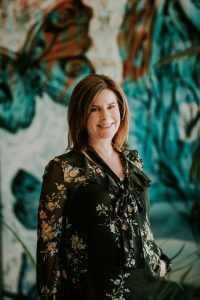 For 15 years she has helped craft bid presentations, keynote speeches, and media appearances for some of Queensland’s leading business names. She is also Media Potential’s crisis expert, safely guiding clients through complicated and confronting media events. Suzanne also has over 20 years hands-on experience in the television industry. She was the producer of national programs including “Who Wants to be a Millionaire” and “Sale of the Century”. For 20 years Australia’s three commercial television networks have hired her as a voice and presentation coach for their on-air personalities. Suzanne is our genuine X factor in the crowded market of media trainers.